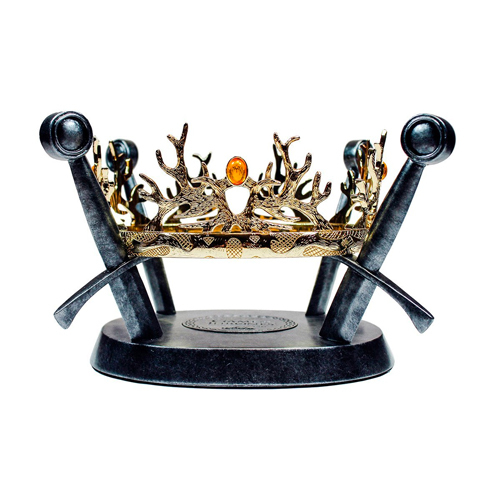 Authentic scale and size of the Game of Thrones Seven Kingdoms Royal Crown. 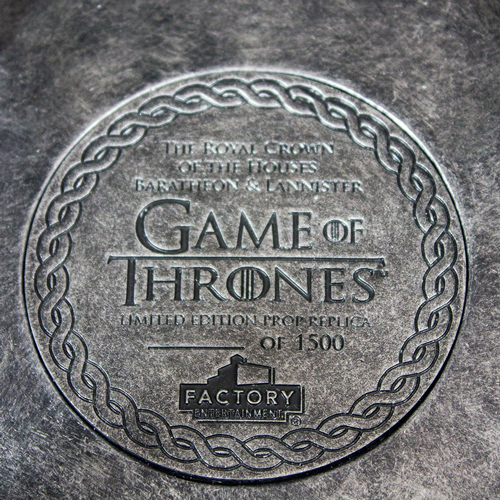 Crafted from actual metal with authentic reproduction gemstones and finished with a lustrous gold effect metal. 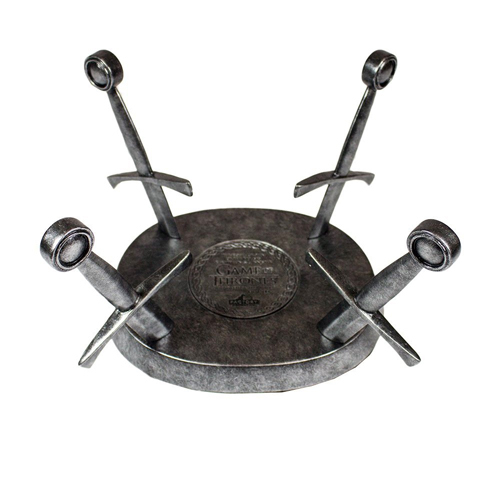 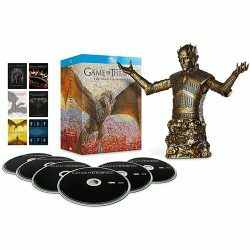 Includes a specially designed iron sword motif display stand.